We have a rain crust "sandwich" in the upper snowpack that releases with moderate force. Snowpack loading is forecasted with an incoming storm and wind through Saturday, followed by above freezing temperatures and possible high elevation rain on Sunday. These storm events may build a thicker slab on top of the persistent weak layer. Conservative terrain choices are recommended especially into the weekend. A relatively stable snowpack is becoming more complex as we move into the weekend. 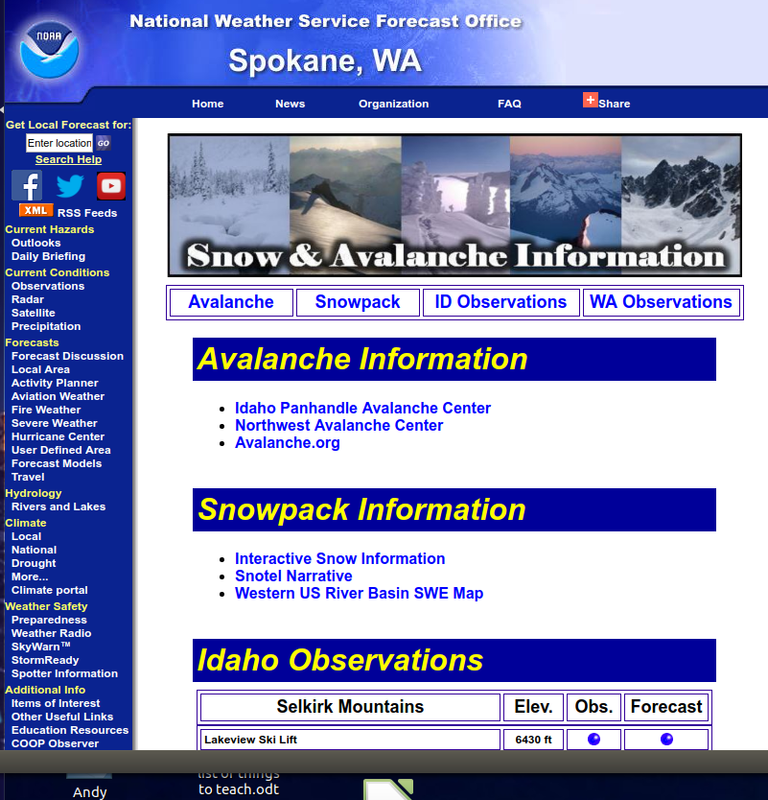 Weather forecasts lead us to believe that avalanche hazard will increase through the weekend. Based on existing snowpack conditions and forecasted weather (storm and wind loading), we are recommending conservative terrain choices above 6000 feet elevation. Evaluate snow and terrain carefully, and please continue to use proven safe crossing procedures and exercise good decision making. Today I visited Baldy Mountain 6529 feet elevation in the Yaak region of the Purcell Range. On a steep northeast aspect near the summit I found 28 inches of snow. The top 3 inches was very soft new snow from overnight. Immediately below this new snow is a sandwich of 3 knife hard rain crusts and 2 soft snow layers. This "sandwich" was easily penetrated with boot travel. Between this "sandwich" and the benchmark November rain crust is 5 inches of 4 finger hardness snow. The November rain crust at this location is knife hard, 3 inches thick and is not penetrated by any type of travel. Below the rain crust is 10 inches of pencil hard snow and 5 inches of 4 finger soft snow at the ground. It took Moderate force using the Extended Column Test to get partial propagation below the rain crust "sandwich". The remainder of the snow column is very cohesive. Weather since the Tuesday afternoon advisory has been cool and dry at all SNOTEL sites, except Bear Mountain. Bear Mountain in the West Cabinet Range went just above freezing Wednesday at noon and has stayed there. In addition, that site received 0.7 inches of snow water equivalent (SWE) with an increase in snow depth of 7 inches. 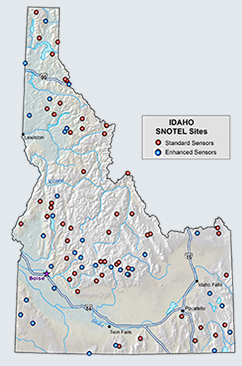 Other SNOTEL sites went above freezing at noon today and received 0.1- 0.3 inches of snow water equivalent (SWE) and 1-2 inches of snow. Today's weather was again mountain fog with light snowfall, temperatures at the freezing mark, and west winds of 5-7 mph. New snow overnight was 3 inches at 6500 feet in the Purcell Range. Forecasted weather is mostly cloudy through Saturday with just above freezing temperatures for Friday only. Winds will come out of the Southwest at 9-13 mph, with gusts in the low 20s mph. There is very soft snow available for transport now with an additional 5-11 inches in the forecast through Saturday.